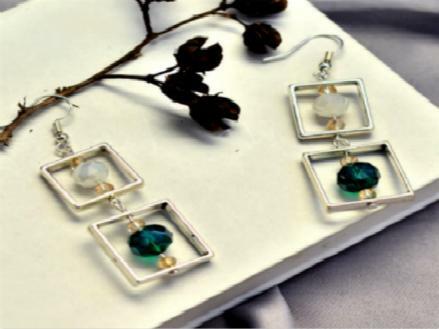 Summary: This pair of earrings is of simple and elegant style and you can wear it in the office. And the making process is very easy so try and make one with us! 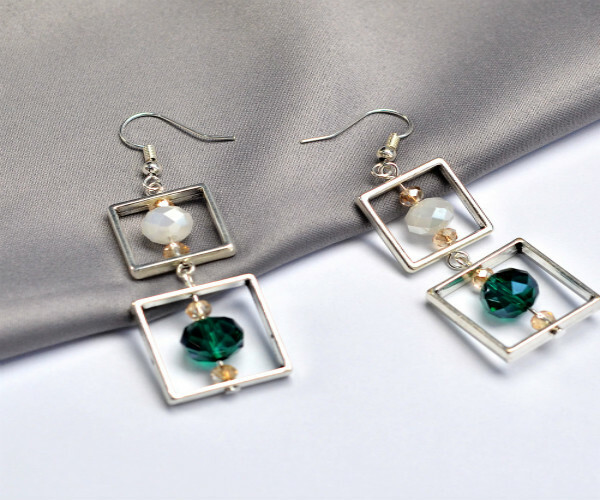 The earrings feature novel design and diversified colors. 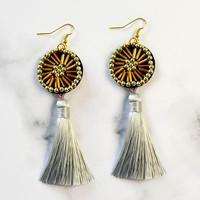 In addition, those simple and smooth lines make you look elegant and skilled so it is especially suitable for modern ladies. 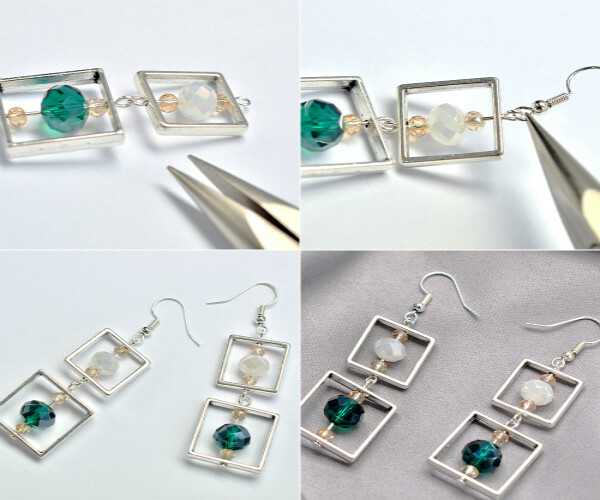 Now we are able to make a pair of dangle earrings by ourselves. 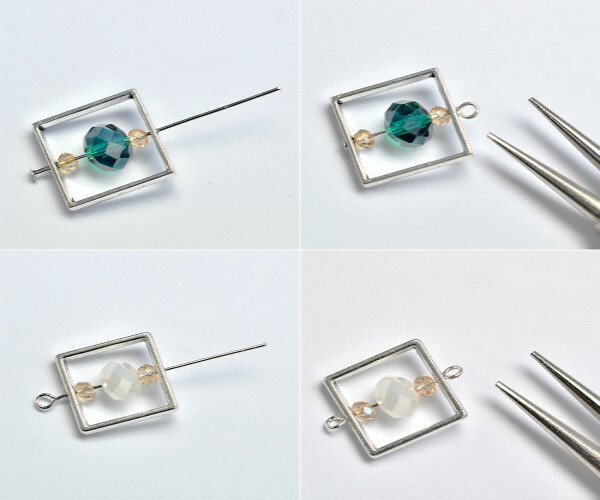 1st Choose one head pin and thread it through one side of the alloy frame, two papayawhip beads and one green bead. Thread the pin through the other side of the alloy frame. 2nd Leave a small piece of the wire and then cut the extra. Then use the rest part to make a ring. 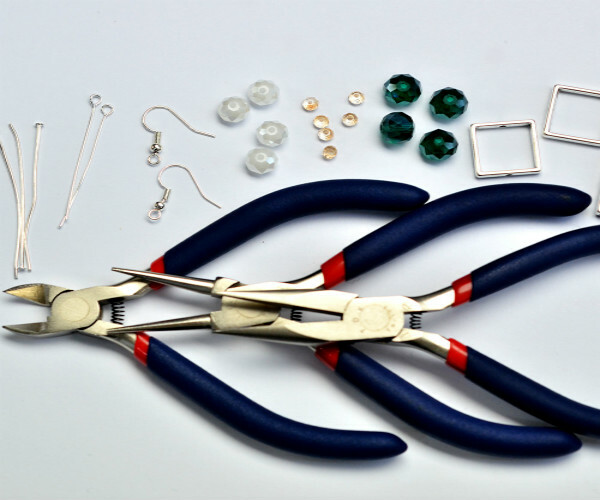 3rd Choose an eye pin and thread it through the beads and cut make a ring on the other side of the alloy frame in the same way. 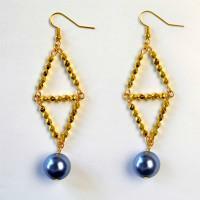 AS you can see, this pair of earring is not hard to make but the final product is very attractive. So don’t hesitate and make yourself one!